If you’ve been a PC user for a few years, you’ll likely have your own routine when it comes to the obligated reinstalling of windows every year or two. The memorised configuration and go-to software to bring your desktop back to normality. If you’re a gamer too, you’ll know we are all forced to have all the different clients (Steam, Origin, Battlenet etc) that would pour out a bunch of desktop shortcuts which would then, of course, need sorting out. Nothing has changed since I got my first PC back in 2001. Preteen me solved that by creating a single, recognisable folder. A system which I have used ever since. 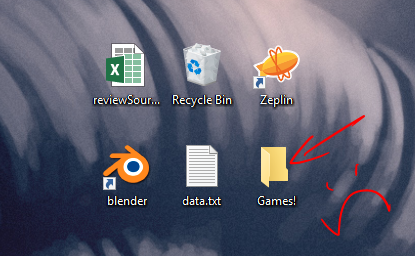 Behold… the Games Folder. It might not be glamorous, but it does the trick! Windows is all about backwards compatibility, which is a blessing and a curse. In this case, I got to keep the original style windows XP star icon on the holy folder I knew would always be there when I got home. It represented a freedom of choice. I wasn’t bound by the rules and exclusivity of each service or client. 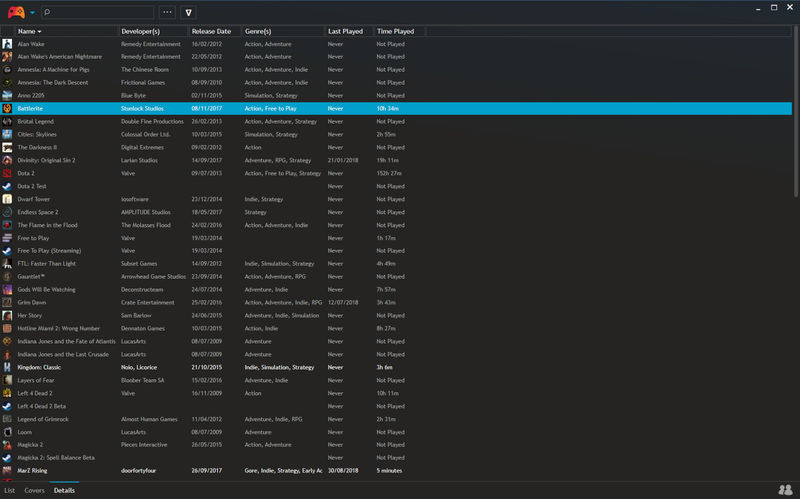 All games were listed equally together and I was free to pick and choose exactly what I wanted to play. Last year, we caught sight of an interesting project using our API. 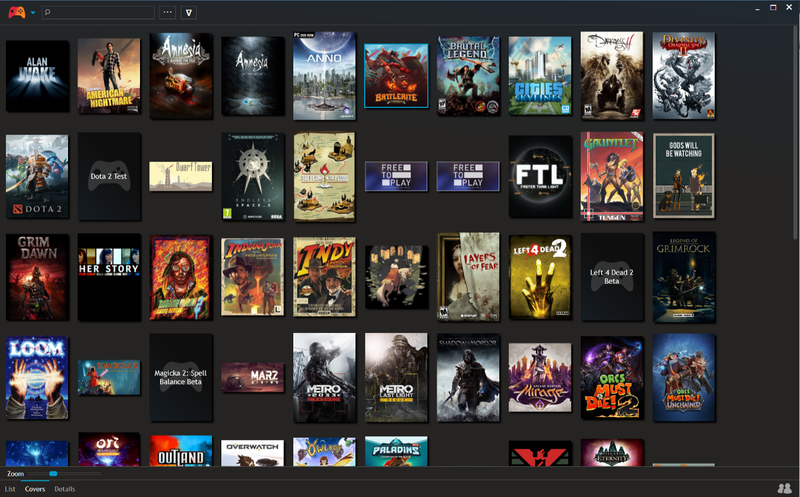 Playnite is a free desktop client that organises your game collection, crossing the borders of service clients and providing more than just a shortcut. You can group and organise your collection at will, read detailed information about the game and integrate third-party clients including steam, battle.net, origin and GOG Galaxy, all without logging in or signing up to anything. Nice and neat library across all my clients! I’ve had it for a few months and so far the experience has been flawless. Lacking features I’ve needed are all in the backlog and the client development speed is rapid. Playnite is by no means a new idea, but I don’t feel something has ever come along that really competed against the simplicity of my little games folder. Well today, I feel it has been out-matched and so I say goodbye to my old friend. Programmer and advocate of web languages. Front-end developer @ www.igdb.com. My opinions are my own!